Life Food and Beer: Taco's again?? For breakfast, I warmed up a package of cinnamon and apple oatmeal I found in the pantry. 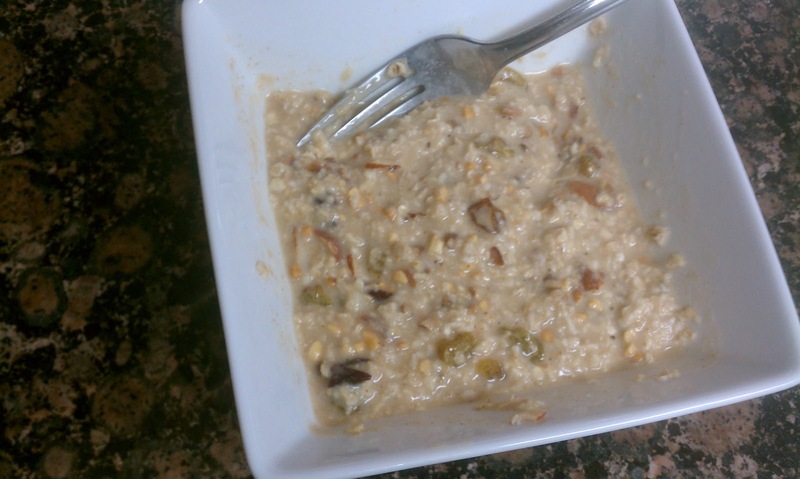 I added golden raisins and toasted pecans for more flavor and texture. 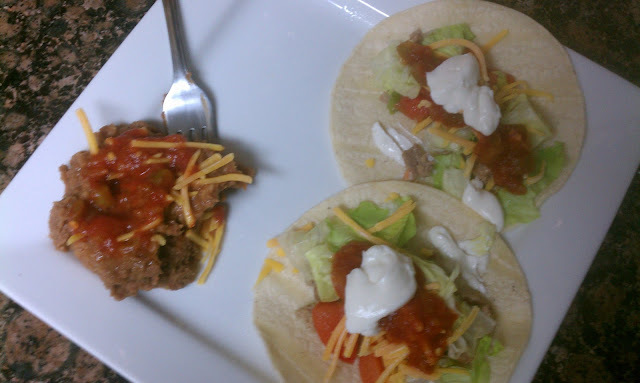 For dinner, we had tacos and refried beans. You can find the recipe to Huck's tacos here. 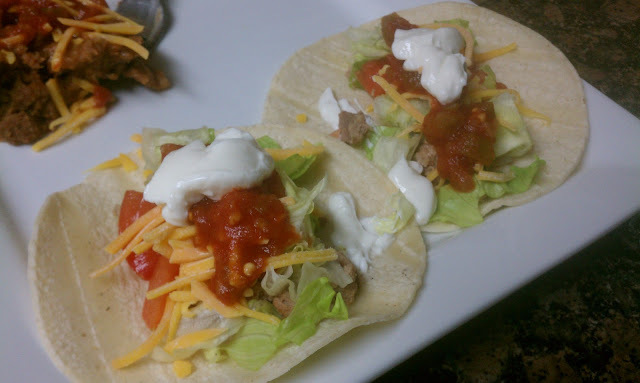 I used corn tortillas tonight. They are lower in fat and calories then flour and you can toast them in the oven at 325 for 10 to make them crispy with less fat then crunchy taco shells. This brand is only 25 calories each. You can, also, toast them in the oven for tortillas chips too.